The Fun Boat was designed and created for those of you who want to be very spoilt. 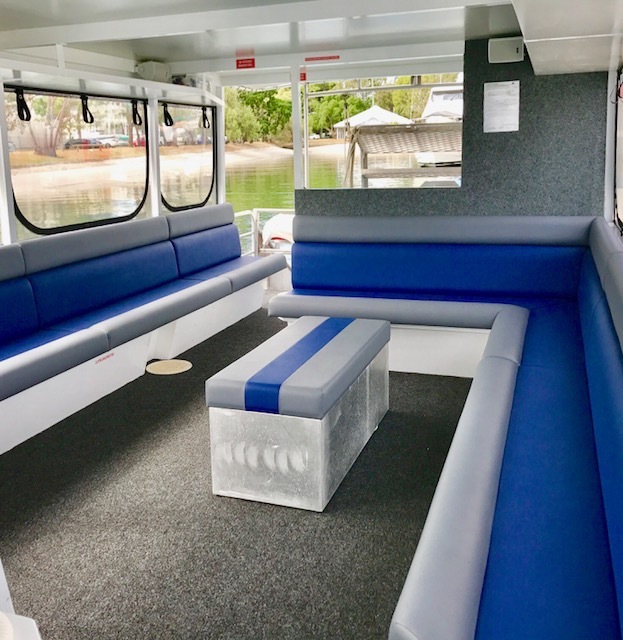 The Skipper will drive and anchor you and your 20 friends anywhere you desire, all you need to do is grab a drink, take a seat, enjoy the view and tell the skipper which direction you wish to travel. 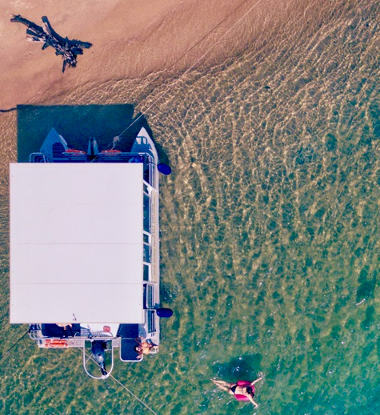 The Fun Boat boasts a length of 10.6 metres and a width of 3.5 metres. She carries 20 people in comfort and motors along with a combined 160hp. Hard roof with drop-down clears "cafe style"
Hi speed BBQ Party Pontoon "Fun Boat" to move you around to different destinations. eg. 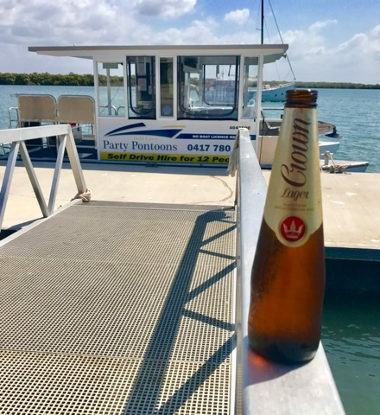 A beer at Tipplers bar and cafe to Sanctuary Cove sipping cocktails and then a swim at Wavebreak Island. Heaven is waiting. You and all your friends just sit back and enjoy. thats why this is our ultimate Fun Boat. 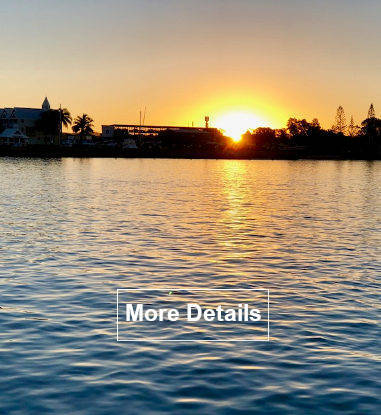 Call 0417 780 260 to book* or enquire about half day charters or our Maxi Taxi service.